We’re seeking community members for our board of directors! FOTA is currently seeking members from the St Louis Park community to serve on its Board of Directors beginning in 2016. Directors serve 3-year terms and are expected to attend monthly meetings and serve on committees or fulfill volunteer duties that total approximately 4 hours per month. The Board meets the last Thursday of the month at 7 pm at City Hall. Currently, we are seeking St Louis Park residents who have experience in fundraising, marketing/communications, or volunteer management, as well as representatives that reflect the diversity of our community. Please contact our office at 952-928-6422, email info@slpfota.org for an application form and additional information, or CLICK HERE to go to the St. Louis Park page for Friends of the Arts. 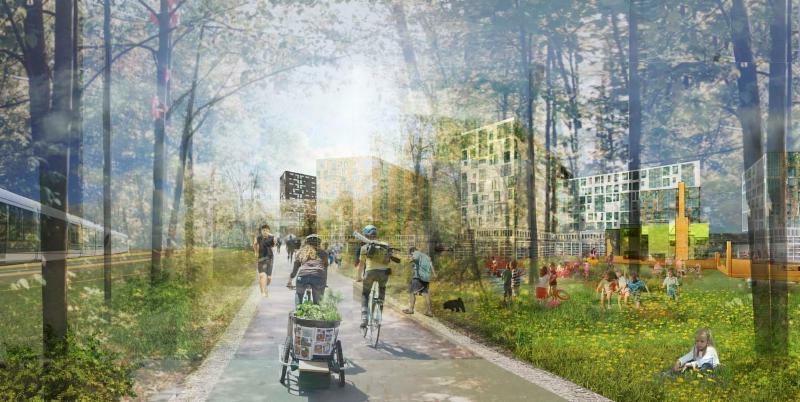 PLACE is collaborating with the City of St. Louis Park to create a mixed-use, mixed-income, transit-oriented community demonstrating profound environmental design. Located on Minnesota’s newest light rail line and the largest dedicated bike trail in the country, this community will offer active people multiple transportation alternatives to the car. The project will provide access to nature in a relatively urban setting, via green rooftop decks and an urban forest. The development will be powered by PLACE’s E-Generation process that makes renewable energy from organics, and grows organic food in onsite greenhouses.